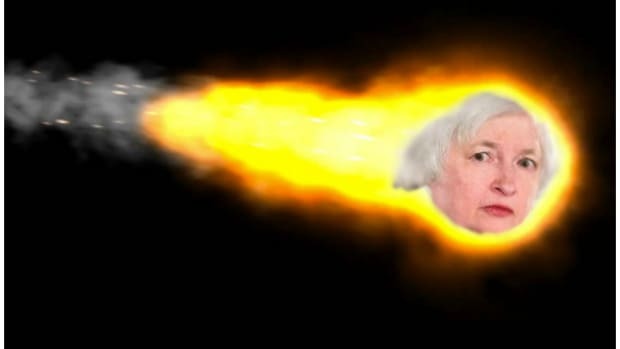 For an inconsistent candidate running an unstable campaign (during which he&apos;s been prone to take three sides of the same argument), Donald Trump has been pretty steadfast in one particular thing: His wonky criticism of Janet Yellen&apos;s monetary policy. 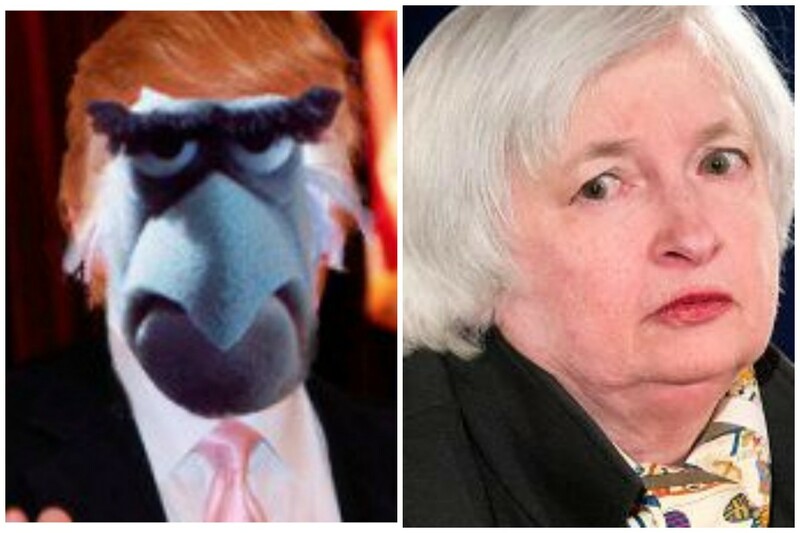 Trump has been very clear that he thinks Yellen is a political stooge hell-bent on singlehandedly manipulating interest rates to keep him out of The White House. 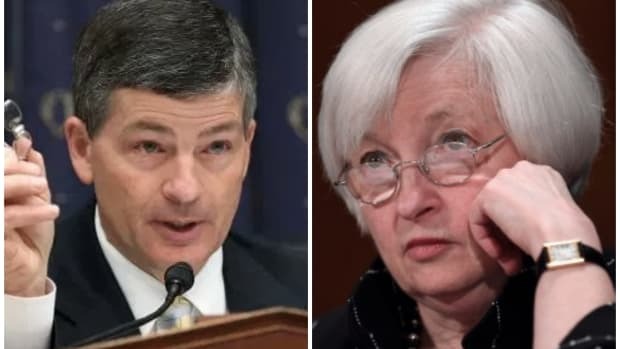 And despite warnings from his opponent to maybe keep Yellen&apos;s name out his damn mouth what with the deleterious effect his words might now have on the American economy, Trump has kept up the attacks. 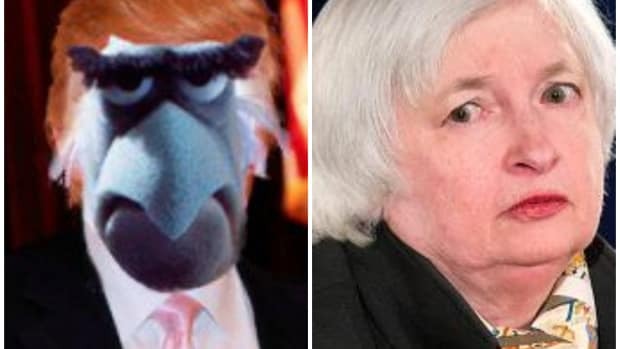 Fed Chair Janet Yellen and central bank policymakers are very political, and Yellen should be "ashamed" of what she&apos;s doing to the country, Trump said, adding the Fed is not even close to being independent. Trump stuck to his talking points of Yellen helping to create "a false market" and making sure that "money is basically free" so that the Democrats can retain the Presidency. It&apos;s all pretty great populist red meat, and doubly-hilarious considering Trump&apos;s backgrounds in monetary policy (nonexistent) and personal debt (extensive). 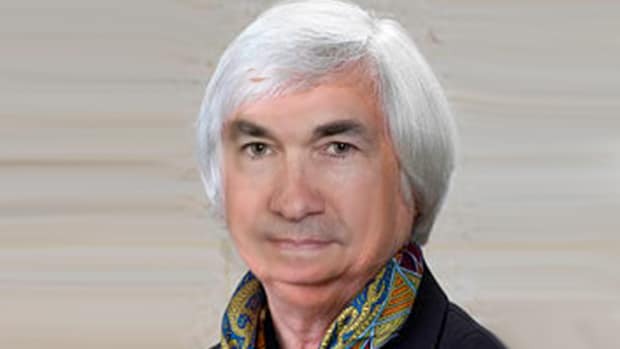 But what makes this whole thing even better is that Trump continues to hammer Janet Yellen on her integrity while refusing to distance himself from a despotic ruler in Russia. "He has very strong control over a country. Now, it&apos;s a very different system and I don&apos;t happen to like that system. But certainly in that system he&apos;s been a leader far more than our president has been a leader." "[Rates] are staying at zero because she&apos;s obviously political and she&apos;s doing what Obama wants her to do." According to Donald Trump - a major party nominee for President of the United States - Vladimir Putin is doing a helluva job over in Russia, but the Chairwoman of the Federal Reserve should be ashamed of herself. Regardless of whether or not you agree with the notion that rates are artificially low (and that argument is a strong one), it is hard to accept Trump as your standard-bearer on this issue if he&apos;s going to be so dangerously erratic on almost literally everything else.